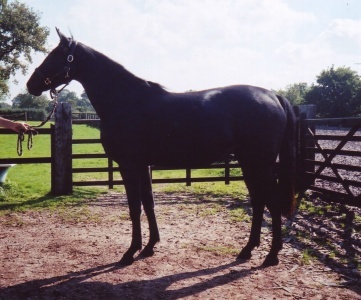 A lifelong love of German warmbloods led to the start of Redstone Hanoverians which is situated in 17 acres amidst the beautiful rolling hills of Dumfries and Galloway in South West Scotland. With over 30 years of breeding experience and a selection of top quality proven broodmares, our aim is to produce top class foals with world class bloodlines who will be capable of competing at top level dressage/jumping. 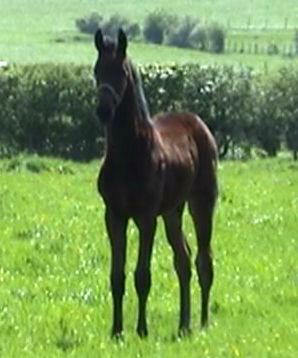 Grand Prix and International Grand Prix Stallions are individually selected for each broodmare. Movement is a key factor when choosing a sire but for us, temperament is also at the top of the list of priorities. 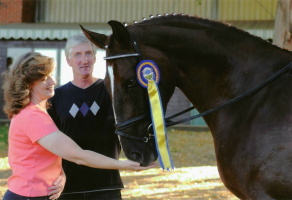 All broodmares are Performance Tested and all horses are pink papered and registered with the British Hanoverian Horse Society. A number of youngstock are usually available for purchase. For full details please see the 'For Sale' page or telephone/email for full details. We are located just over the Border (20 minutes from Carlisle) within easy reach of the main M6/M74 motorway network (just 2 miles from the M74 Junction 20) and visitors can always be assured of a warm welcome. George & Beryl Haslam, Treetops, Fairyknowe, Eaglesfield, Lockerbie, Dumfriesshire, Scotland, DG11 3AG. Revised: 20 July, 2010 19:37.